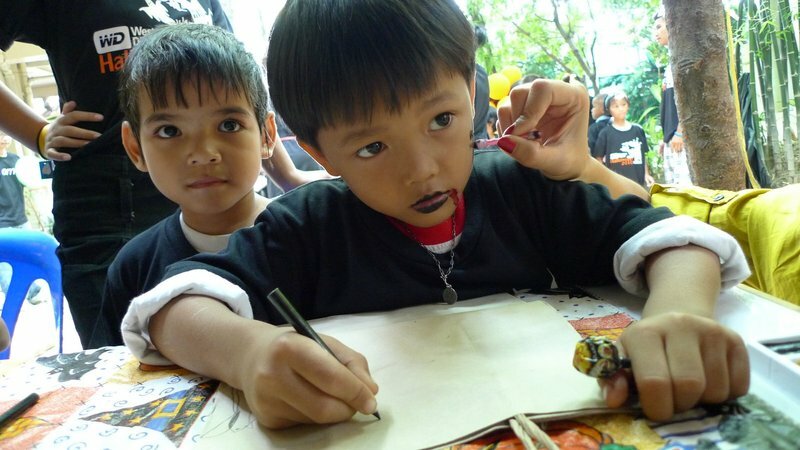 Since 2003, a Bangkok-based company and member of the American Chamber of Commerce (AMCHAM) called English Solutions has sponsored an annual Halloween party for underprivileged children at the Mercy Center in Khlong Toei. This was the first year I heard about it and my friend Ken and I went to volunteer. 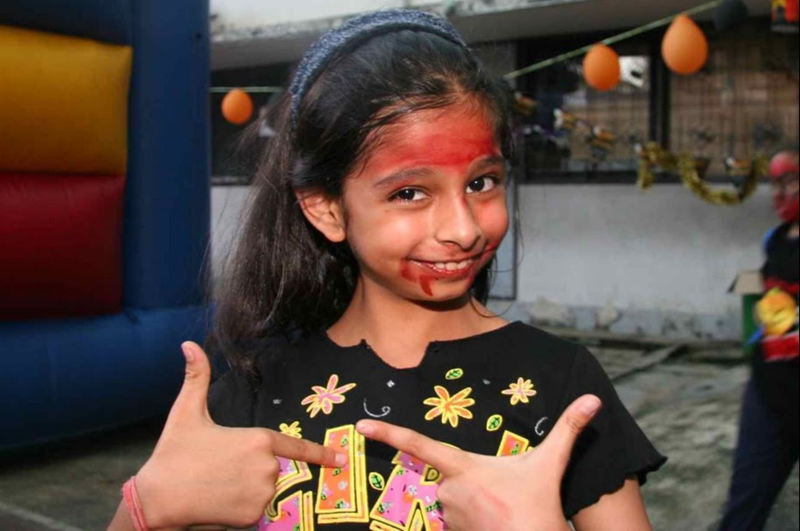 Held the day before Halloween, the “Scream for Charity” gives hundreds of underprivileged children an opportunity to experience a fun day and a chance to get a taste of this very American of holidays. 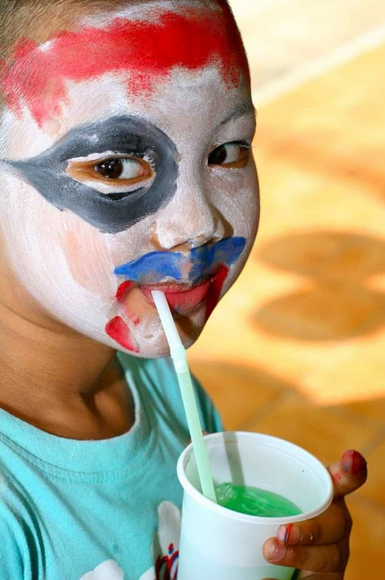 Halloween isn’t celebrated in Thailand although in the past few years it has taken on a little life of its own, especially at nightclubs. Thais love ghosts and all things spooky so Halloween is finding fertile soil in which to spread its roots. Hundreds of children wait for the final event of the day – trick or treating. The Khlong Toei area of Bangkok is the city’s largest slum. While I had previously been in some of the edges of the area, I had never before been into the heart of it and I was shocked. While the neighborhood is full of life, it is also teeming with poverty. One of the largest organizations helping the community is Mercy Center, a shelter for street kids, four orphanages, a hospice, a home for mothers and children with HIV/AIDS, a 400-pupil kindergarten, a community meeting place, and a serene haven in the slums with small gardens and playgrounds. 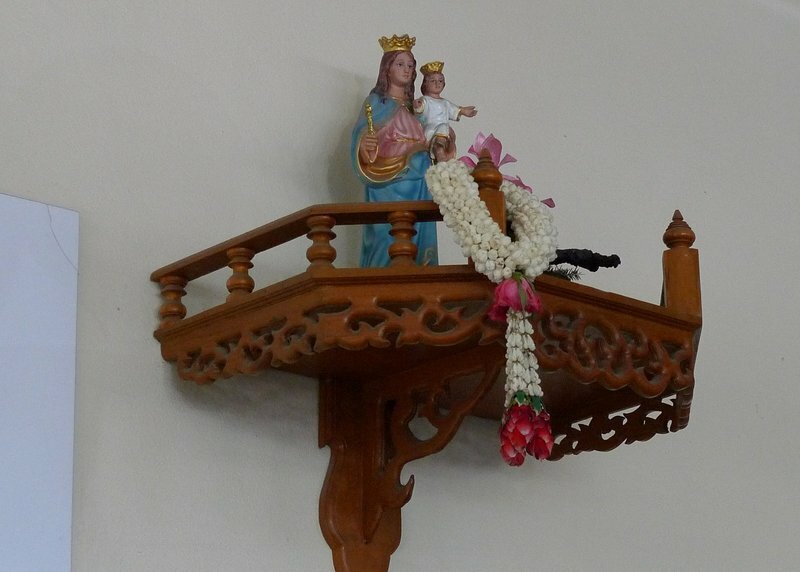 The Virgin Mary and Baby Jesus on a shelf that usually holds a Buddha statue. Father Joe Maier, a Catholic priest who has served in Thailand since 1967, founded Mercy Center along with Sister Mary Chantavaradom. Father Joe has become something of an institution in Bangkok, speaking truth to power and shining the spotlight on the plight of the city’s poor even when the elite class would rather they be out of sight and out of mind. His columns regularly appear in the Bangkok Post, an English language daily, telling the stories of the young people who have come through Mercy Center. Sometimes their stories end in triumph. All too often, though, they end in sorrow. The Scream for Charity was a lot of fun. 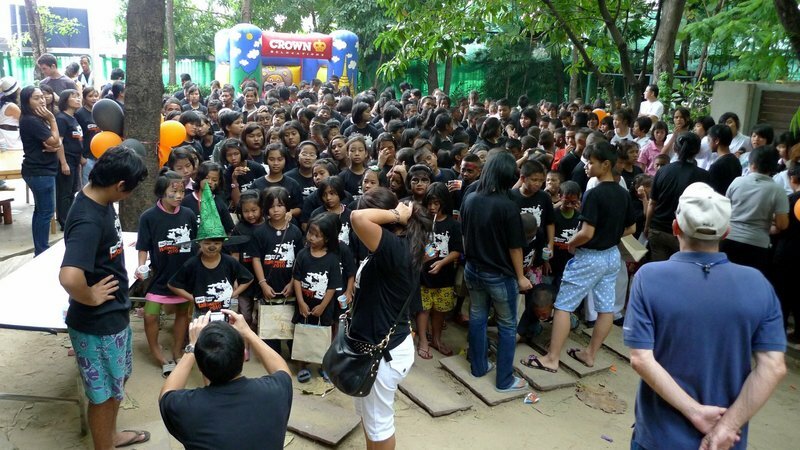 We had more than 100 volunteers, both expats and Thais, and probably 400 children. Ken and I were assigned to the trick or treat bag decorating station. Working with eight or so children at a time, we helped them decorate their bags with pictures of jack-o-lanterns, bats, and ghosts. Everyone, even if they weren’t showing it, was eager to get their face painted. I didn’t have a chance to get a lot of pictures, both because we were busy working and also because the organizers asked that we hold off from taking pictures because it could become a bit of a circus. Interacting with the children was fun. Some were painfully shy, others were fairly outgoing. Some still had that childhood innocence, others had been affected by their circumstances and were already jaded. But for a few hours at least, they had fun, played games, visited the haunted house, ate food, and went home with bags of rice, candy, school supplies, and other things that are much in need. 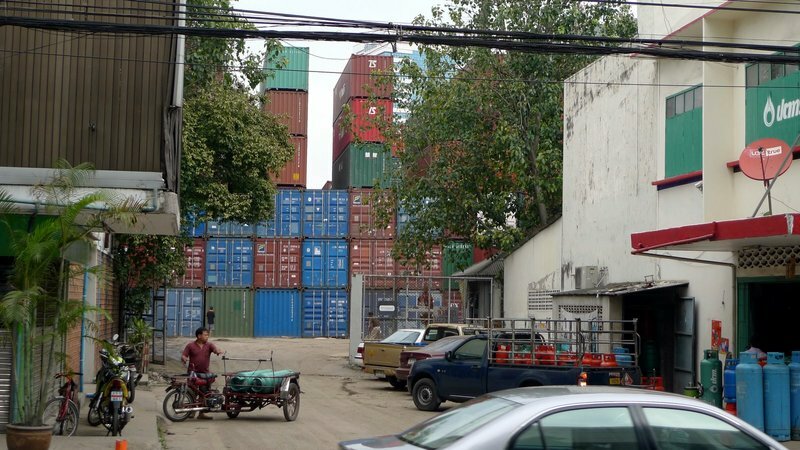 Khlong Toei is in the port area and containers are stacked high behind many buildings. Afterwards, Ken and I walked the couple of miles out of Khlong Toei and back up to the convention center area to catch the subway. Along the way, we remarked that it has been almost two years since our volunteer English teaching in Samut Songkhram province came to an end. It seems that it has been too long since there has been any regular volunteering in my life. Living in Thailand gives me a great appreciation for how blessed I am and how much I have that so many others don’t. I try to always be appreciative of those blessings and not take them for granted. I’ll leave you with this trio of pictures from 2009’s Scream for Charity, courtesy of Fredrik Divall. These capture the sense of the event very nicely. This entry was posted in Uncategorized and tagged AMCHAM, Bangkok, Charity, Father Joe, Khlong Toei, Krungthep, Mercy Center, Poverty, Scream for Charity, volunteer by christao408. Bookmark the permalink. Thanks. I love posts about places I’ve yet to be and the customs they have. I do remember reading about Father Joe Maier years ago in the Bangkok Post when I was traveling. I’m glad that charity is still doing its good work. Those are lovely pictures – especially of the kids. I don’t know, maybe you just caught me on a dreary, rainy fall day here. I’m just in a reflective mood right now. I am happy when I see happy kids. I did some volunteer work up north with orphans. That was one of the greatest rewards -seeing them smile and laugh. Is there a way to help Father Joe beyond your volunteering? School supplies, clothes, etc? 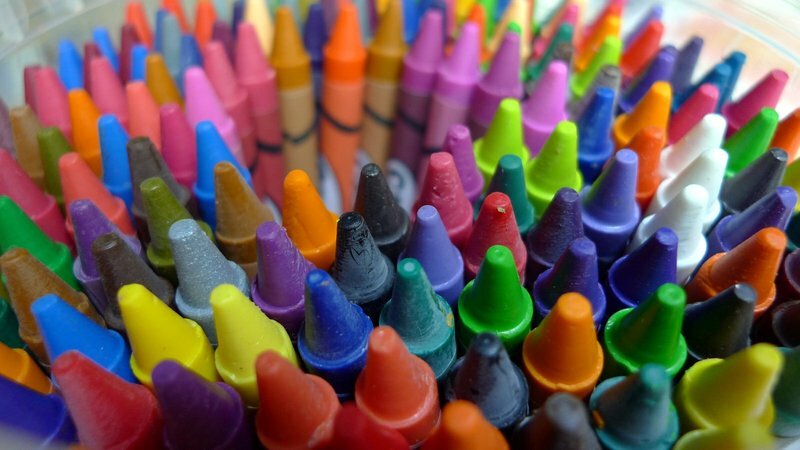 It is a good thing to make a difference in a life – especially in that of a child. Yay you!! that sounds like a wonderful thing to do! i actually kind of miss volunteering; i used to do a lot of community service, but stopped because i haven’t had much time to do it. but, it is extremely satisfying and heart-warming. @kunhuo42 – Aaron, finding the time is difficult. One thing I discovered, though, is that when I volunteer, I always feel the time is well spent. Can’t say the same thing about bugging out in front of the TV, on the internet, etc. @murisopsis – @Fatcat723 – Working with children is especially rewarding because the sense of gratification is so immediate. If they’re happy, they’re happy and you see it. @jandsschultz – I’m sure there is. I’ll have to get more information from their website. @RushmoreJ – You’re welcome. This website it chock full of things about Thailand and Thai culture. @yang1815 – There’s no picture of me in there, Andy. Oh, you meant the children! =P@ElusiveWords – Working with the children, I could feel myself on the brink of being really sad, knowing that for 99 out of 100 of them, life will be very, very hard. @New_Egyptian – I think he or she has already blessed me by giving me the realization of how many good things I have in life and the opportunity to give a little to others who are less fortunate than I am. @AppsScraps – In this case, I’m not sure that they’re picking up much Americanization. I don’t think a lot of background was given as to the history of the celebration and it certainly won’t be reinforced by door-to-door trick-or-treating in their neighborhood. Besides, it is only when we’re sitting in a position of quite a bit of privilege can we disparage the influence of Americanization or any other type of Westernization. For them, going to eat in an air conditioned restaurant, whether Thai food or a McDonalds, is an aspiration. What a cool charity and celebration! 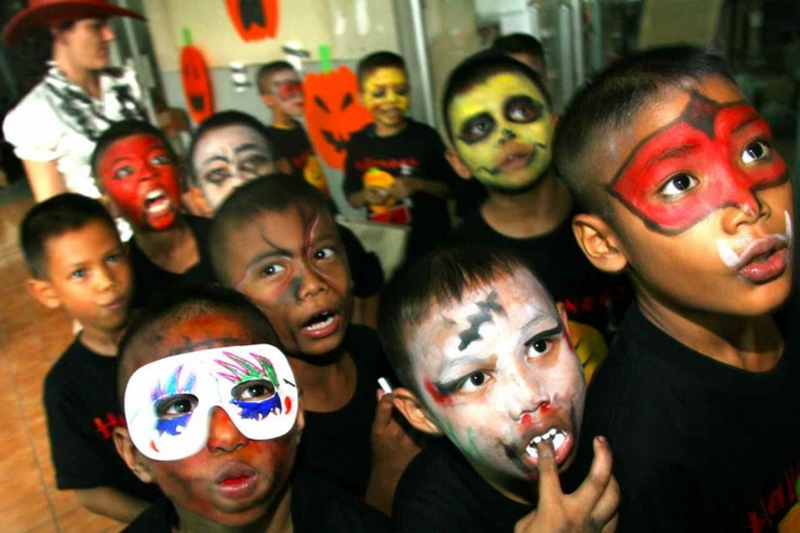 Those little ones look like they’re having a blast (I love the face painting)! @TheCheshireGrins – Oh, it was a lot of fun. I’m volunteering to do face painting next year. This is nice! I think it’s both time and money well-spent if shared with the less fortunate people. Ive been so busy with work, chasing deadlines and dealing with stress and all at work ever since i moved to bkk..but I think there is so much more going outside of my office world, that i really want to do something to share what ive been blessed with. I also want to do volunteer work here in Bangkok on my birthday next month. I will try to check out Mercy center. Thanks for sharing this. God bless you! @caria – Thanks for your comment. There is another organization called the Association for the Promotion of the Status of Women that I am exploring volunteer opportunities with. The director is the aunt of a friend and I’ve been there for a visit. Have proposed some possibile activities and will write about it once something is up and running.